After years of shooting with “proper” full-frame DSLR kit such as the Canon EOS 5D Mark 3, and amassing a collection of various EF lenses tailored around my needs, I think the time might have come for a change. Full frame cameras have traditionally represented the pinnacle of photographic equipment. Outstanding image quality, great performance in terms of shooting speed / reliable focusing systems, and sheer flexibility through enabling access to a massive collection of lenses. In the perhaps 11 or 12+ years I’ve been shooting with digital SLRs, I’ve only ever used Canon equipment.. Not necessarily because it’s been the best available, but mainly because having invested into Canon (EF) fit lenses, switching to another system would have been somewhat expensive. 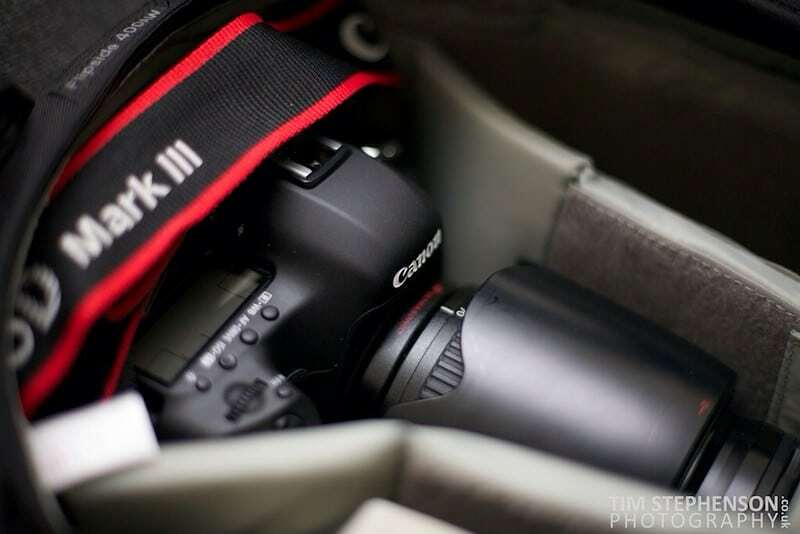 If memory serves correctly, my first DSLR was a Canon EOS 10D; rocking a whole 6.3Mpx with an APS-C size sensor. From there, and after various other bodies along the way, I currently shoot with a pair of Canon EOS 5D Mk3 full-frame DSLRs. Along the way my lens collection has continued to grow, taking advantage of the standardised EF lens mount and working on the basis that even the first lenses I bought for use with my 10D are still perfectly fine to use today with my 5D Mk3’s. Shooting full frame cameras has many advantages, but also comes with its own set of significant disadvantages. Full frame sensors are fairly large, meaning that the corresponding full frame camera bodies are necessarily reasonably big and heavy to house the sensor along with necessary other optics such as the pentaprisms & mirrors necessary to support the large viewfinders. Full frame sensors also need suitable lenses, and to get the best results I’ve tended to gravitate towards Canon’s professional L glass – with brighter maximum apertures and fast focusing mechanisms. Unfortunately this also means that lenses are physically large and heavy – simply because they need large diameter glass elements in-order to deliver plenty of light to the sensor while remaining sharp & bright throughout their range. The size and weight of the equipment isn’t really an issue if you only occasionally pick up a camera, but does become more of a problem when you’re carrying 2 FF bodies & lenses for an all-day wedding or shooting anything which requires you to be on the move (with your equipment) for an extended period of time. Sure, you can mitigate this using solutions like the excellent SpiderHolster belt system or any of the various dual-camera strap systems – but ultimately, you still end up very aware that you’ve been carrying around 2 cameras. The net result of this also tends to be that over time, my DSLR equipment has tended to remain in its bag unless being used for work; with the majority of home & family photos being captured using my iPhone’s camera.. on the basis that toting a DSLR around the house isn’t something that is overly practical unless you’ve set out with the intention of shooting some photos. Although phone cameras are far from terrible on the latest handsets, they obviously still leave much to be desired in terms of delivering great image quality and the gorgeous images you can only really achieve with a larger imaging sensor and fast lenses. Funnily enough, when you scale everything down to the size of a phone camera a few sacrifices & compromises have to be made along the way. For a long time now I’ve been searching for a smaller and more lightweight camera system which was still capable of delivering great looking images – initially with the intention of using it for casual photography rather than my phone. Based on my collection of Canon gear, when Canon launched their first generation EOS M mirrorless body I was initially quite excited to get my hands on one – with high hopes that it was as good as claimed, delivering excellent imaging quality along with robust fast shooting performance. In all fairness, under perfect conditions, it delivered great images and shipped with a sharp & compact 22mm prime lens. However, it all fell somewhat apart when attempting to shoot something which was moving with hopeless autofocus and extremely sluggish performance in general. After getting frustrated on nearly every occasion while attempting to use it, I eventually abandoned the concept and returned to using my phone. Although my abortive attempt to use Canon’s mirrorless system failed spectacularly in terms of solving the problem, it had however given me a taste of what is achievable with small mirrorless cameras. As such, I refocused my efforts on looking for an alternative and after spending far too much time examining sample images & reading reviews settled on the exceptionally popular Micro Four Thirds system (MFT). The MFT concept and platform is discussed in great depth all over the web, so I’m going to refrain from going into any detail here but suffice to explain that MFT is a specification, which sets out from the start to describe how to build a compact mirrorless camera orientated specifically for high-quality digital imaging. The standard is also brand-agnostic – and any MFT mount lens can be used with any MFT mount body. Canon and Nikon have their own flavours of specification based largely around scaling down their traditional full-frame mounts, but don’t share MFT’s goals of cross-brand compatibility & highly compact camera bodies & lenses. To test the waters, I bought a Panasonic Lumix GX7 body along with a couple of prime lenses; a Panasonic 20mm 1.7 & Olympus M.Zuiko 45mm 1.8. The GX7 isn’t a particularly new MFT body, but is a very compact one that seems to be capable of delivering high-quality images; making it a reasonably good test case to start exploring what is and isn’t possible with the system. Having owned the camera for about 24h, I took it & the Oly 45mm with me to shoot a wedding – not necessarily with a view to capturing anything useful with it, but to give it a go under reasonably challenging conditions. I have to admit to being exceptionally surprised at the results! Given the GX7 isn’t what could be described as a professional body, it performed admirably well – locking focus quickly even in challenging lighting, and delivering crisp clean images which could be easily manipulated in post-production. The tiny Olympus M.Zuiko 45mm is also a gem of a lens offering a 35mm equivalent focal length of 90mm. As I would normally shoot with either a 35mm or 85mm full-frame lens, 90mm is a little longer than I’m used to – but it didn’t take long to get used to it. The 45mm is tack-sharp wide open, focuses at about the same speed as my expensive Canon L lenses, offers a bright maximum aperture of f1.8 (which is usable at f1.8), is ultra compact… and extremely inexpensive compared to full-frame alternatives! All in all, a good option to start experimenting with the system. I ended up including quite a few images from the GX7 & 45mm in the finished photo galleries, and when presented in web galleries and slideshows I can’t easily tell the difference between them and frames from my 5D Mk3’s Needless to say, it’s opened my eyes to the potential of this format and has also opened the door to a concept I hadn’t been considering… Can a MFT system replace my go-to Canon 5D Mk3’s & L glass? I’m very happy with the images this little tiny MFT setup can produce. They’re packed with detail, have great dynamic range with bucket loads of colour and contrast; and what noise there is seems to be easily managed and quite pleasing to the eye. The only downside is that I’m far from happy with the GX7 as a professional’s tool. It’s perfect for a casual or walkaround camera, or carrying in addition to other equipment – but unsurprisingly is not designed or intended to have the ultra-quick auto focus and crazy-fast responsiveness that I’m used to with my 5D Mk3’s. I wasn’t really expecting it to be, as it’s not aimed at a professional market. It’s a great camera, just not quite in the right league in terms of specs. So, what next? Well, my first stop is to find a MFT camera body that can deliver on image quality AND has the robustness / professional specs I need. At the moment, Olympus’s OM-D line of cameras stands out as potential contenders given their robust construction, high quality imaging sensors, and outstanding image stabilisers. Of these, the E-M1 looks like it might be a winner… especially with the backing of Olympus’s professional-grade Service Plus support service, just in case something goes wrong and needs fixing in a hurry. OlderRevisiting the EOS M – time to move on? NewerCould this be goodbye Canon, and hello Olympus?